Slightly wider than the Lotus H570, the H570W built-in fire has the same clean and contemporary look as its other wood burning counterparts. You will appreciate the beautiful flames from the large landscape glass window of this stunning wood burning fire. With a heat output of up to 9kW, this highly efficient wood burning fire is versatile. If you choose the tunnel option, the Lotus H570T, you can enjoy the flames in two separate rooms at once! 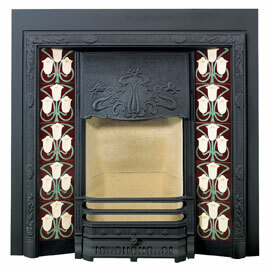 For those with a smaller living space, our compact yet powerful H570 built-in wood burning fire is the perfect choice. The H570W can add style to your home, wherever your location!